The world economy is in crises, as we everyone know. People these days are having tough time to manage their salary and expense in a better manner. 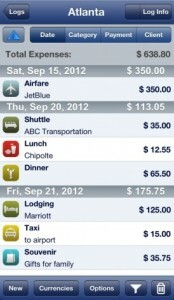 Thus we decided to bring out the best list for Expense tracking apps for iPhone. These apps are so fantastic that they would help you in all possible ways to track your expense daily wise and bring out crucial report at the end of each month. One of the best ways to maintain your salary and account balance is by optimizing your expense. 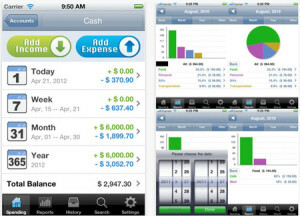 Therefore today we have come out with some of the best expense tracking apps for iOS. These apps wouldn’t just keep track of your monthly expense, but would also keep a record of everything and would show you a graph at the end stating where most of your expenses are going down. Hopefully, this could be first step in your money saving. One of the major advantage of using expense tracking apps is that they let you know where your money is been spent by you and on what all stuffs you spend your money the most. Not just this, they also gather your information so that it can be used later on to calculate your monthly graph so that from next month onwards you can keep all your earnings safe. SO let’s go out with our best iPhone expense tracking apps. 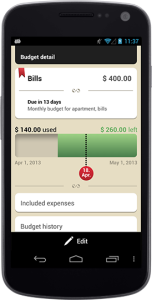 Spendings, gives you a simple and beautiful interface in finding out your expense. It provides you with decent interface while adding your expense and customizing them. If you are among people who doesn’t like complex interface then this app is for you to enjoy and maintain your daily expense. 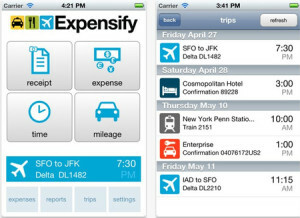 It is a great expense tracking apps with lots of features to enjoy. All developers call this tool as “Expense tracker, budget manager, and personal finance guru”. While as far as I have used this app, I feel it’s much simpler and infact it’s one of the best expense tracking apps currently available on the iTunes store. 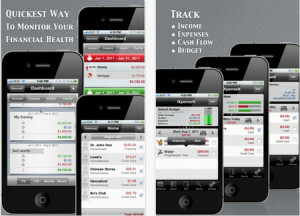 It’s a great budgeting app for all people who are finding it more difficult in managing and maintaining their expense. It has all decent features which every other expense tracking app has, and even more. If I am to choose anyone out of all, then I would highly recommend you to choose this app, for all people who want to save their money. If you are a person who loves to do your own customization, and control everything the way you want it to be, then you will obviously like this app. It has a great customization facility, provided you can add your own custom categories and sub categories as well to save your time. There are lot of extra facilities included in this app, say for example, you can take away a picture of your expense receipt for a particular stuff and upload it so that you can remember when it was taken and for what it was. It’s a great expense tracking app, provided it’s also known as the best accountant app as well. This is the most awesome expense tracking app I have ever seen. Even though people call it more as a financial apps, but then too it does its job in a good manner. One of the main reason why people call it as financial app is because, it has access to over 200 banks wherein you can get all your details in real time manner straightaway. Interestingly, it can also handle your expense tracking part as well by providing your correct and precise information. Lastly, I am inspired with the professional and decent look of this app and this is what I would say to such an app, Awesome! If simplicity is what you like in every part of your life, then this expense tracking app would be comfortable with you. One of the simplest interface designs I have ever seen with decent look on performing various possible actions wherein you can a button for adding your income and another button for subtracting your expense and the best part is that all the calculation will be done instantly and results will be displayed on your front screen itself. If you are among one, who always think of saving his/her earnings, then iXpenseIt is what you require. One of the best expense tracking apps in the market which will give you list of awesome features. It includes bill notifier, dynamic monitoring, backup and restore and even mileage/kilometer information which you wouldn’t find out in any of the apps been listed on iTunes Store. You can watch out your daily income and expense instantly along with graph format. With the above collection of tools for managing expense and saving money, I am sure, you would be now able to manage your expense in a more far better manner than before. With these apps, you would always be aware where are your money going so that you can have a check on them daily and perform better. Do try out, and let us know what you feel about these finance and expense managing apps.